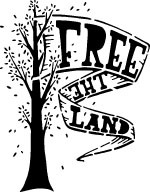 The Hambach forest and the people there need your help! There are still 14 (!) persons in custody in the police stations in Jülich, Aachen and Düren. Five of them are seemingly going to be summonded to a custodial judge. That means that police wants to arrest them for a longer time. It seems that they want to force some people to give their DNA as well. 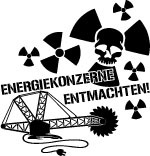 RWE Wachschutz injured Activists. One Person losing Consciousness due beating by the Security. Activists choked and arrested with cable ties. 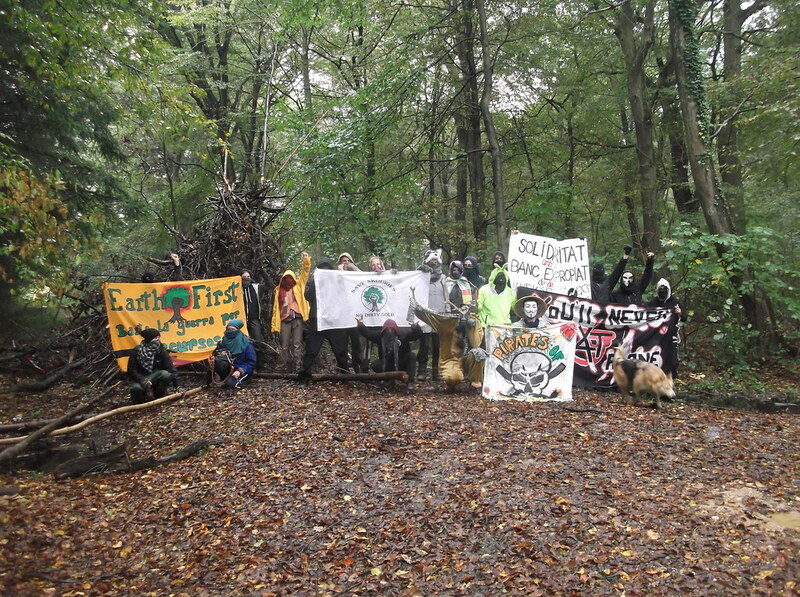 Today was another Blockade of cutting and logging in the Hambacher Forest, within the Campaign “No Tree is falling”. At this Blockade the RWE Security attacks the activists with batons and Pepper Spray. At this point some activists get injured.Thereupon a second Blockade happened to make the Security and the Loggers aware of it that they accept to injure the activists. At this point Security attacked the activists roundly with batons and pepper spray. Also the Logging Machine was heading directly towards the activists. During this attack 3 Activists get injured, one of them losing consciousness for a moment. Also the RWE Security arrested 3 Person, they choked the persons and bond them with cable tie. Activists defended themselves. After one hour police showed up and arrested 3 more persons. The police came from Düren and also the Arrested people will be brought there. Come around and support the Blockades. 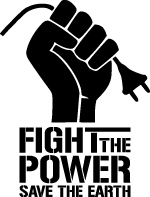 Show Solidarity everywhere, thats what the people need here. The workers of the landmurdering company RWE cut down trees which had platforms on them. 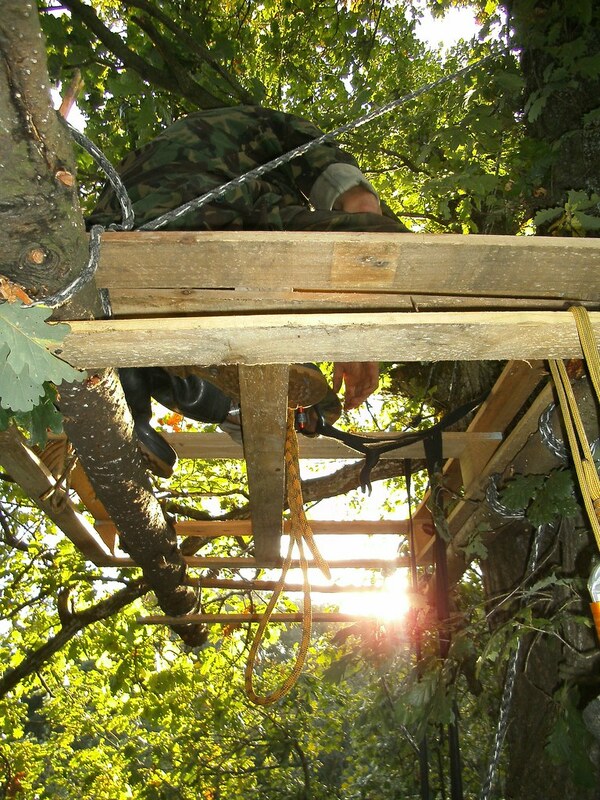 Soon after the police came by and examined the occupied trees of “Grubenblick”. Presumably they made preparations for an eviction. 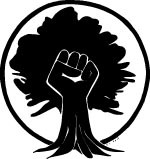 Now it is quiet again, the activists of Grubenblick stay in the trees and have a hideous look on the deepest hole of europe and uncountable treestumps. 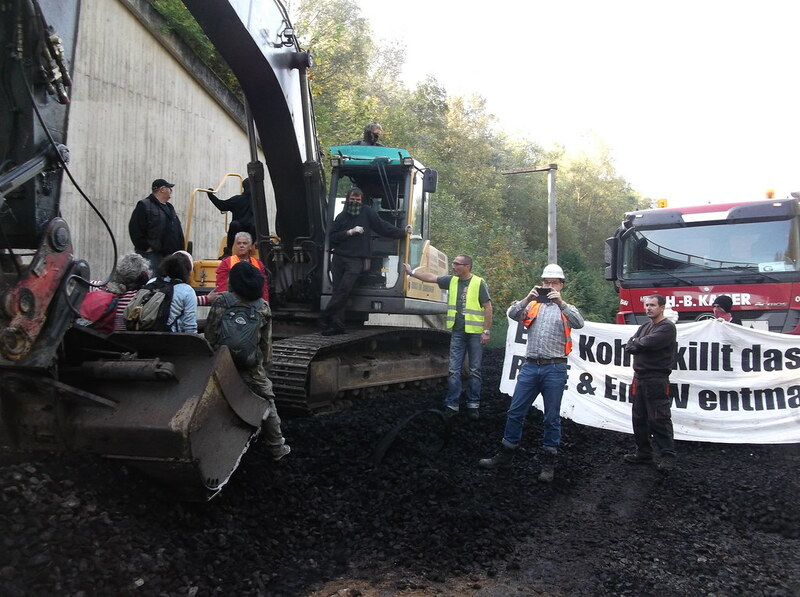 Today, on October 1st 2014, the demonstrations against the ongoing clearance of the Hambach Forest continue at the gates of Europe’s biggest open cast mine.At 09:25 am three bulldozers, one chain dredger and one truck were occupied at the gateway of the open cast mine Hambach. The workers of RWE and the hired security reacted violently. They attacked the demonstrators with metal pipes. Diggers which were occupied by persons sitting on them continued to move, disregarding the fact that this was a serious thread to the activists’ lives. Due to the violence performed by RWE’s wageworkers the activists were displaced from the territory already 15 minutes later. They withdrew to avoid further violent escalation. 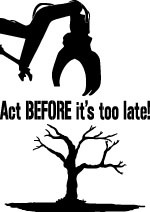 Is the planned destruction of a forest more important than the health of human beings? Further information on today’s events and pictures will follow soon!